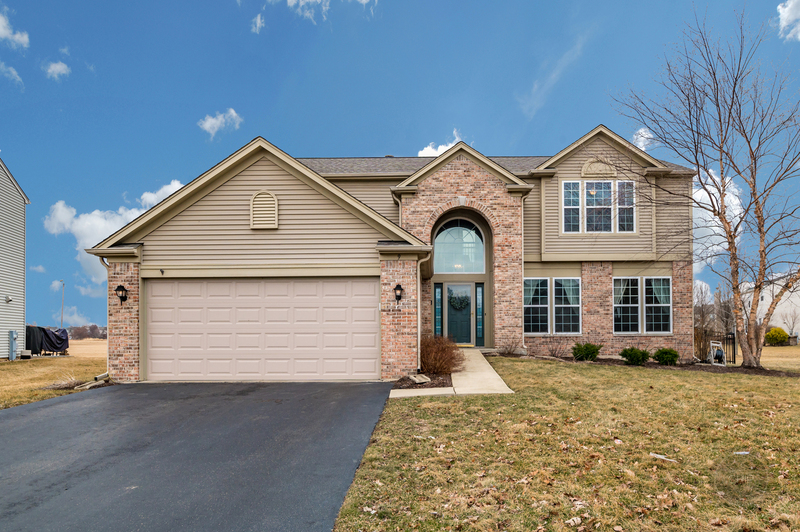 Incredible Bolingbrook Beauty! Possibly one of the best locations in Augusta Village, quite cul-du-sac & fenced back yard that opens to massive common area, perfect for summer entertaining. Home features a brick front & new landscaping. The moment you walk in the front door prepare to be amazed! 2 story foyer & updated kitchen, Spacious Family room with gas fireplace, combined living & dining for entertaining. Kitchen offers a large island, upgraded cabinets, custom back splash & granite. 1st floor den & laundry room (washer & dryer Included). Professionally FINISHED basement with 1/2 bath, Master suite with vaulted ceilings & ceiling Fan. Deluxe master bath with dual vanity. All bedrooms have ceiling fans, white doors & trim throughout. 3300+ SF of SPECTACULAR finished living space! H2o Heater 2017, AC 2014, Roof 2018, Nest 2014, Fridge 2016, Stove 2017, Kit Floors 2016, Landscaping 2017, 1st Level Painted 2018, Close to Schools, Shopping & Minutes to Naperville, Welcome Home!